20. "African at juice bar": Tel Aviv. 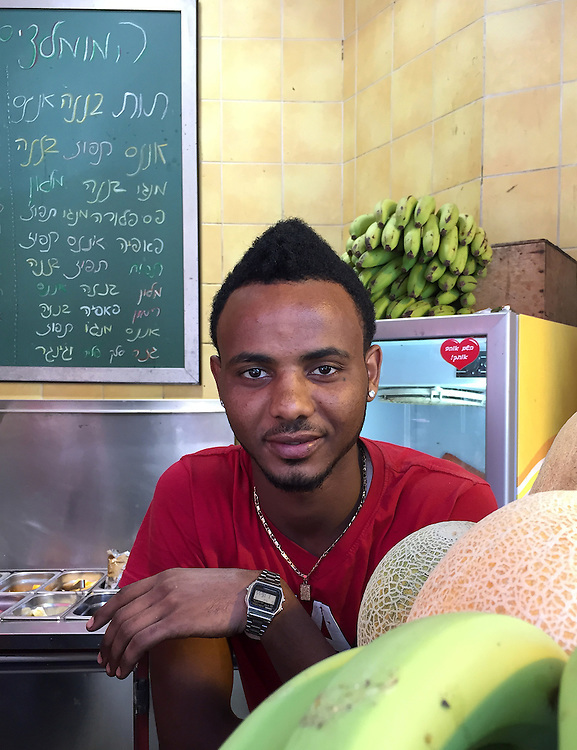 Many thousands of Ethiopian Jews, as well as other African refugees and asylum seekers, have immigrated to Israel. Yet ongoing discrimination has kept many of them on the periphery of Israeli society. However, this young man seems to have avoided such difficulties, at least on the surface. He is working at a juice bar in Tel Aviv, and looks relaxed and well off with his sporty watch, earing, golden necklace and beatific expression.